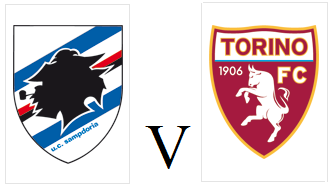 After a two week break due to international fixtures, Torino return to Serie A action when they face Sampdoria in the early kick off on Sunday afternoon. Deadline day acquisition Amauri is expected to make his debut for the Granata, whilst Juan Sanchez Mino could make his first start. Like Toro, the home side also drew their opening game of the season as an injury time equaliser gave ten men Samp a point at Palermo.